The metric system is a decimalized system of measurement based on the meter and the gram. It exists in several variations, with different choices of base units, though these do not affect its day-to-day use. Over the last two centuries, different variants have been considered the metric system. Since the 1960s the International System of Units (SI) ("Système International d'Unités" in French, hence "SI") has been the internationally recognized standard metric system. Metric units of mass, length, and electricity are widely used around the world for both everyday and scientific purposes. 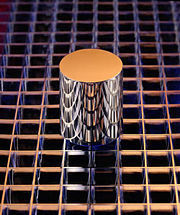 The U.S. National Prototype Kilogram, which currently serves as the primary standard for measuring mass in the U.S. It was assigned to the United States in 1889 and is periodically recertified and traceable to the primary international standard, "The Kilogram," held at the Bureau International des Poids et Mesures (BIPM) near Paris. One goal of the metric system is to have a single unit for any physical quantity; a second important goal is to minimize the use of conversion factors when making calculations with physical quantities. For example, all lengths and distances are measured in meters, fractions of a meter (such as millimeters), or multiples of a meter (such as kilometers). There is no profusion of different units with different conversion factors, such as inches, feet, yards, fathoms, rods, chains, furlongs, miles, nautical miles, leagues, and so forth. Multiples and submultiples are related to the fundamental unit by powers of ten, so that one can convert by simply moving the decimal place: 1.234 meters is 1234 millimeters, 0.001234 kilometers, and so forth. The use of fractions, such as 2⁄7 of a meter, is not prohibited, but it is generally not necessary. Time, on the other hand, has not been metricized in everyday use. The commonly used units—years, months, weeks, days, hours, minutes, and seconds—have non-decimal conversion factors. The second and its submultiples (such as microsecond) are used in scientific work, but the traditional units of time are used more often. The original metric system was intended to be used with the units of time of the French Republican Calendar, but these fell into disuse along with the calendar. In the late eighteenth century, Louis XVI of France charged a group of savants to develop a unified, natural and universal system of measurement to replace the disparate systems then in use. This group, which included such notables as Lavoisier, produced the metric system, which was then adopted by the revolutionary government of France. In the early metric system there were several fundamental or base units, the grad or grade for angles, the meter for length, the gram for mass and the liter for capacity. These were derived from each other via the properties of natural objects, mainly the Earth and water: 1 meter was originally defined as 1/40,000,000th of the polar circumference of the Earth, and 1 liter of water has a mass of 1 kg and measures 1 dm³. Other units were derived from this, such as the Celsius temperature scale, where water freezes at 0 °C and boils at 100 °C at standard pressure. 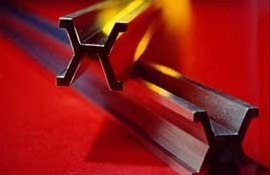 The meter was later redefined as the length of a particular bar of platinum-iridium alloy; then in terms of the wavelength of light emitted by a specified atomic transition. Currently, the meter is defined as the distance traveled by light in an absolute vacuum during 1/299,792,458 of a second. The gram, originally one millionth of the mass of a cubic meter of water, is currently defined by one thousandth of the mass of a specific object that is kept in a vault in France. However, there are efforts underway to redefine it in terms of physical quantities that could be reproduced in any laboratory with suitable equipment. The second was originally defined as one-86400th of the mean solar day. It was redefined in 1967 to be 9,192,631,770 periods of vibration of the radiation emitted at a specific wavelength by an atom of cesium-133. Varying choices have been made for the base unit needed to incorporate the field of electromagnetics. As of 2006, this is the ampere, being the base unit of electrical current. Additional quantities are derived from the base units. For example, the basic unit of speed is meters per second. As each new definition is introduced, it is designed to match the preceding definition as closely as possible, so that the changes of definition have not affected most practical applications. The names of multiples and submultiples are formed with prefixes. They include deca- (ten), hecto- (hundred), kilo- (thousand), mega- (million), and giga- (billion); deci- (tenth), centi- (hundredth), milli- (thousandth), micro- (millionth), and nano- (billionth). The most commonly used prefixes for multiples depend on the application and sometimes tradition. For example, long distances are stated in thousands of kilometers, not megameters. Most everyday users of the metric system measure temperature in degrees Celsius, though the SI unit is the kelvin, a scale whose units have the same "size," but which starts at absolute zero. Zero degrees Celsius equals 273.15 kelvins (the word "degree" is no longer to be used with kelvins since 1967-1968). Angular measurements have been decimalized, but the older non-decimal units of angle are far more widely used. The decimal unit, which is not part of SI, is the gon or grad, equal to one hundredth of a right angle. Subunits are named, rather than prefixed: the gon is divided into 100 decimal minutes, each of 100 decimal seconds. The traditional system, originally Babylonian, has 360 degrees in a circle, 60 minutes of arc (also called arcminutes) in a degree, and 60 seconds of arc (also called arcseconds) in a minute. The clarifier "of arc" is dropped if it is clear from the context that we are not speaking of minutes and seconds of time. Sometimes angles are given as decimal degrees, for example, 26.4586 degrees, or in other units such as radians (especially in scientific uses other than astronomy) or angular mils. The proliferation of disparate measurement systems was one of the most frequent causes of disputes amongst merchants and between citizens and tax collectors. A unified country with a single currency and a countrywide market, as most European countries were becoming by the end of the eighteenth century, had a very strong economic incentive and was in a position to break with this situation and standardize on a measuring system. The inconsistency problem was not one of different units but one of differing sized units so instead of simply standardizing size of the existing units, the leaders of the French revolutionary governments decided that a completely new system should be adopted. The first official adoption of such a system occurred in France in 1791, after the French Revolution of 1789. The creators of this metric system tried to choose units that were logical and practical. The revolution gave an opportunity for drastic change with an official ideology of "pure reason." It was proposed as a considerable improvement over the inconsistent collection of customary units that existed before, and that it be based on units of ten, because scientists, engineers, and bureaucrats at the time found this more convenient for the complex unit conversion they often must do. The adoption of the metric system in France was slow, but its desirability as an international system was advocated by geodesists and others. Since then a number of variations on the system evolved. Their use spread throughout the world, first to the non-English-speaking countries, and more recently to the English-speaking countries. The whole system was derived from the properties of natural objects, namely the size of the Earth and the weight of water, and simple relations in between one unit and the other. In order to determine as precisely as possible the size of the Earth, several teams were sent over several years to measure the length of as long a segment of a meridian as feasible. It was decided to measure the meridian spanning Barcelona and Dunkirk which was the longest segment almost fully over land within French territory. It should be noted that even though, during the many years of the measurement, hostilities broke out between France and Spain, the development of such a standard was considered of such value that Spanish troops escorted the French team while in Spanish territory to ensure their safety. The whole process ended in the proclamation on June 22, 1799 of the metric system with the storage in the Archives of the Republic of the physical embodiments of the standard, the prototype meter and the prototype kilogram, both made in a platinum alloy, witnessed by representatives of the French and several foreign governments and most important natural philosophers of the time. The motto adopted for the metric system was: "for all men, for all time." In revolutionary France, the system was not particularly well accepted, and the old units, now illegal, remained in widespread use. On February 12, 1812, Napoleon, who had other concerns than enforcement of the system, authorized the usage of Mesures usuelles, traditional French measures redefined on the base of Metric System (toise as 2 meters, livre as 500 grams, and so forth), and finally in 1816 a law made these Mesures usuelles standards (this law was canceled in 1825 and the metric system reinstated). It was also reinstated in 1820 by a somewhat unlikely person, King William I of the (United) Netherlands. Although he was generally considered more conservative, he was desperate to bring at least some form of unity to his rather disunited kingdom. His attempts were vain in that Belgium claimed its independence from the Netherlands, but the metric system survived and began a slow but steady conquest of the world. By the 1960s, the majority of nations were on the metric system and most that were not had started programs to fully convert to the metric system (metrication). As of 2005 only three countries, the United States, Liberia, and Myanmar (Burma) had not mandated the metric system upon their populace. Later improvements in the measurement of both the size of the Earth and the properties of water revealed discrepancies between the metric standards and their originally intended values. The Industrial Revolution was well under way and the standardization of mechanical parts, mainly bolts and nuts, was of great importance as they relied on precise measurements. Though these discrepancies would be mostly hidden in the manufacturing tolerances of those days, changing the prototypes to conform to the new and more precise measurements would have been impractical particularly since new and improved instruments would continually change them. It was decided to break the linkage between the prototypes and the natural properties they were derived from. The prototypes then became the basis of the system. The use of prototypes, however, is problematic for a number of reasons. There is the potential for loss, damage or destruction. There is also the problem of variance of the standard with the changes that any artifact can be expected to go through, though they be slight. Also whilst there may be copies, there must be only one official prototype that cannot be universally accessible. The meter had been defined in terms of such a prototype and remained so until 1960. At that time, the meter was defined as a certain number of wavelengths of a particular frequency of light emitted by a certain element. Since 1983 the meter has been defined as the distance light travels in a given fraction of a second in a vacuum. Thus the definition of the meter ultimately regained a linkage with a natural property, this time a property thought immutable in our universe and truly universal. The kilogram is now the only base unit still defined in terms of a prototype. Since 1899, the kilogram has been formally anchored to a single platinum-iridium cylinder in Sèvres, France. The metric system is used widely for scientific purposes but there are some exceptions, especially at large and small scales, such as the parsec. It has been adopted for everyday life by most nations through a process called metrication. As of 2006, 95 percent of the world's population live in metricated countries, although non-metric units are still used for some purposes in some countries. The holdouts to full metrication are the United States and, to a lesser degree, the United Kingdom, where there is public attachment to the traditional units. The metric system was designed with several goals in mind. The designers of the metric system meant to make it as neutral as possible so that it could be adopted universally. The usual way to establish a standard was to make prototypes of the base units and distribute copies. This would make the new standard reliant on the original prototypes which would be in conflict with the previous goal since all countries would have to refer to the one holding the prototypes. The designers developed definitions of the base units such that any laboratory equipped with proper instruments should be able to make their own models of them. The original base units of the metric system could be derived from the length of a meridian of the Earth and the weight of a certain volume of pure water. They discarded the use of a pendulum since its period or, inversely, the length of the string holding the bob for the same period changes around the Earth. Likewise, they discarded using the circumference of the Earth over the Equator since not all countries have access to the Equator while all countries have access to a section of a meridian. The metric system is decimal, in the sense that all multiples and submultiples of the base units are factors of powers of ten of the unit. Fractions of a unit (for example, 29/64) are not used formally. The practical benefits of a decimal system are such that it has been used to replace other non-decimal systems outside the metric system of measurements; for example currencies. The simplicity of decimal prefixes encouraged the adoption of the metric system. Clearly the advantages of decimal prefixes derive from our using base 10 arithmetic, a consequence of our happening to have 10 digits (fingers and thumbs). At most, differences in expressing results are simply a matter of shifting the decimal point or changing an exponent; for example, the speed of light may be expressed as 299 792.458 km/s or 2.99792458×108 m/s. All derived units would use a common set of prefixes for each multiple. Thus the prefix kilo could be used both for weight (kilogram) or length (kilometer) both indicating a thousand times the base unit. This did not prevent the popular use of names for some derived units such as the tonne which is a megagram while a quintal is accepted as 100 kilograms; both are derived from old customary units and were rounded to metric. The function of the prefix is to multiply or divide the measure by a factor of ten, one hundred or a positive integer power of one thousand. If the prefix is Greek-derived, the measure is multiplied by this factor. If the prefix is Latin-derived, it is divided. The Greek prefix kilo~ and the Latin prefixes centi~ and milli~ are those most familiar from everyday use. A similar application of Greek and Latin prefixes can be made with other metric measurements. Originally, units for volume and mass were directly related to each, with mass defined in terms of a volume of water. Even though that definition is no longer used, the relation is quite close at room temperature and nearly exact at 4 C. So as a practical matter, one can fill a container with water and weigh it to get the volume, for example. The base units were chosen to be of similar magnitude to customary units. The meter, being close to half a toise (French yard equivalent), became more popular than the failed decimal hour of the Republican Calendar which was 2.4 times the normal hour. The kilometer was originally defined as the length of an arc spanning a decimal minute of latitude, a similar definition to that of the nautical mile which was the length of an arc of one (non-decimal) minute of latitude. Two important values, when they were expressed in the metric system, turned out to be very close to a multiple of 10. The standard acceleration due to gravity on Earth gn has been defined to be 9.80665 m/s² exactly, which is the value at about 45° north or south of the equator. Accordingly the force exerted on a mass of one kilogram in Earth gravity (F = m•a) is about ten newtons (kg-m/s²). This simplified the metrication of many machines such as locomotives, which were simply re-labeled from for example, "85 tonnes" to "850 kN." Also, the standard atmospheric pressure, previously expressed in atmospheres, when given in pascals, is 101.325 kPa. Since the difference between 10 atmospheres and 1 MPa is only 1.3 percent, many devices were simply re-labeled by dividing the scale by ten, for example, 1 atm was changed to 0.1 MPa. In addition, the speed of light in a vacuum turns out to be astonishingly close (0.07% error) to 3×108 m/s. A useful conversion used in meteorology is 1 m/s = 2 knots with less than a 3% error, actually 1.94384 knots (to 5 decimal places). The equivalent conversion for distance is not so "rounded," 1 nautical mile = 1.852 km (exactly) = 1 minute of arc Latitude (approximately). The original French system continued the tradition of having separate base units for geometrically related dimensions, that is, meter for lengths, are (100 m²) for areas, stere (1 m³) for dry capacities, and liter (1 dm³) for liquid capacities. The hectare, equal to 100 ares (about 2.5 acres), is still in use to measure fields. The base unit of mass is the kilogram. This is the only base unit that has a prefix, for historical reasons. Originally the kilogram was called the "grave," and the "gramme" was an alternative name for a thousandth of a grave. After the French Revolution, the word "grave" carried negative connotations, as a synonym for the title "count." The grave was renamed the kilogram. This also serves as the prototype in the SI. It included only few prefixes from milli, one thousandth to myria ten thousand. Several national variants existed thereof with aliases for some common subdivisions. In general this entailed a redefinition of other units in use, for example, 500-gram pounds or 10-kilometer miles or leagues. An example of these is mesures usuelles. However it is debatable whether such systems are true metric systems. Early in the history of the metric system, various centimeter gram second systems of units (CGS) had been in use. These units were particularly convenient in science and technology. Later metric systems were based on the meter, kilogram and second (MKS) to improve the value of the units for practical applications. Meter-kilogram-second-coulomb (MKSC) and meter-kilogram-second-ampere (MKSA) systems are extensions of these. The International System of Units (Système international d'unités or SI) is the current international standard metric system and the system most widely used around the world. It is based on the meter, kilogram, second, ampere, kelvin, candela and mole. The meter-tonne-second system of units (MTS) was based on the meter, tonne and second. It was invented in France and mostly used in the Soviet Union from 1933 to 1955. Gravitational metric systems use the kilogram-force (kilopond) as a base unit of force, with mass measured in a unit known as the hyl, TME, mug or metric slug. Note these are not part of the International System of Units (SI). Several nations, notably the United States, use the spellings meter, liter, and so forth, instead of metre, litre, in keeping with standard American English spelling (see also American and British English differences). This also corresponds to the official spelling used in many other languages, such as German, Dutch, Swedish, and so forth. In addition, the official United States spelling for the SI prefix deca is deka, though it is rarely used. The spelling tonne is common outside American English, where metric ton is the normal usage. The United States government has approved these spellings for official use. In scientific contexts only the symbols are used; since these are universally the same, the differences do not arise in practice in scientific use. Gram is also sometimes spelled gramme in English-speaking countries other than the United States, though that is an older spelling and its usage is declining. ↑ periodically recertified, BIPM. Retrieved May 8, 2008. ↑ The factor ten thousand was also once used. The corresponding prefixes myria~ (104) and myrio~ (10-4) were both Greek-derived. ↑ Non-SI units accepted for use with the SI, and units based on fundamental constants. SI Brochure, 8th ed. Bureau International des Poids et Mesures. Retrieved June 19, 2007. ↑ Robert A. Nelson (February 2000). The International System of Units: Its History and Use in Science and Industry. Applied Technology Institute. Retrieved June 19, 2007. Brownridge, Dennis R. 1994. Metric in Minutes: The Comprehensive Resource for Learning and Teaching the Metric System. Belmont, CA: Professional Publications. ISBN 091204571X. Nation, Kay. 1975. Meters, liters, and grams: Understanding the metric system. Stroud, Glos: Hawthorn Books. ISBN 0801549523. Shoemaker, Robert W. 1998. Metric for Me! : A Layperson's Guide to the Metric System for Everyday Use With Exercises, Problems, and Estimations. 2nd ed. Beloit, IL: Blackhawk Metric Supply. ISBN 0962798037. The NIST Reference on Constants, Units, and Uncertainty: International System of Units (SI) – U.S. National Institute of Standards and Technology. Historical context of the SI: meter. Scales tip with tiniest mass yet, by BBC News Online.